As I prepare for turning another year older, to celebrate the birth of Jesus, and the coming of a New Year I have a great feeling of hope and anticipation in my heart. There are a lot of reasons to feel this way, the general feeling of goodwill and joy that comes with the Christmas season, the opportunities a new year laid out before you can bring, and particularly for me reflecting and remember where I was and what I was (or wasn’t) doing this time last year. By the time December had rolled around in 2016 I was well entrenched in depression. I was so depressed and yet I was not aware of it until April. I was doing very little with my days, if anything at all. When I had to leave the apartment I counted down the hours until I was able to get back into bed. When my mom began asking about what I had on my birthday and Christmas lists I didn’t even want to put the effort into think about it. We had no plans to travel and I just let the holiday season pass me by. 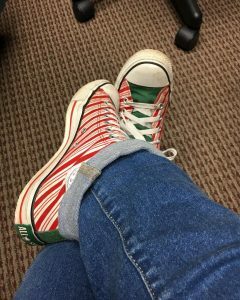 It wasn’t until months later that I realized I had never even gotten my coveted Candy Cane Converse out of storage. My depression was compounded by a feeling of despair as I turned 35. Another year older. It wasn’t getting older that I took issue with. It was the fact that I was ONLY 35. I had been living with chronic illness for 9 years, and I just could not imagine living for another 35 or 40 more years. Being in daily pain, even when not depressed, is difficult and exhausting. Being capable of daily activities and enjoying life still doesn’t change the fact that you are in pain. Add on top of that the crushing feeling of depression, not wanting to do daily activities, not wanting to enjoy life, getting older can feel impossible. So as my 36th birthday and Christmas approaches I find myself being joyful, enjoying the anticipation of seeing friends and family, of opening presents, of celebrating Jesus. I spend my day more often than not outside of the apartment, attending appointments, writing and reading in coffee shops, and running the errands that are necessary for living. Do I have bad days? Yes, sometimes even a bad week, the depression is usually accompanied by pain as well. But I have the tools to deal with these days, I know that eventually I have to get back up and do the tasks for daily living, and that my depression isn’t going to magically disappear. I pick myself up and start again. I still have a standing Tuesday appointment with my therapist, and although some of these appointments aren’t as emotionally fraught as they were in the beginning, there are always things to address. 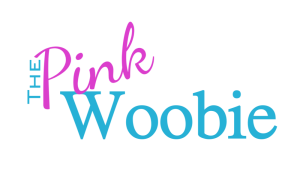 More and more I am stepping away from issues that are specific to living with chronic illness, and I am starting to address thought patterns and negative self talk that I have dealt with my whole life. I am no where near an expert at living with chronic illness and I will always be a work in progress, but this fall (the anniversary of the traumatic illness that triggered many of my conditions) was the least anxiety and depression filled season I have had in 10 years. I would even go as far to say I was even better equipped at handling emotions and anxieties than I ever have been. So yes I am hopeful, and I am anticipating a good year ahead. I’ve donned my Candy Cane Converse, I’ve put on my Crafty Elf hat and the holiday season is well under way!